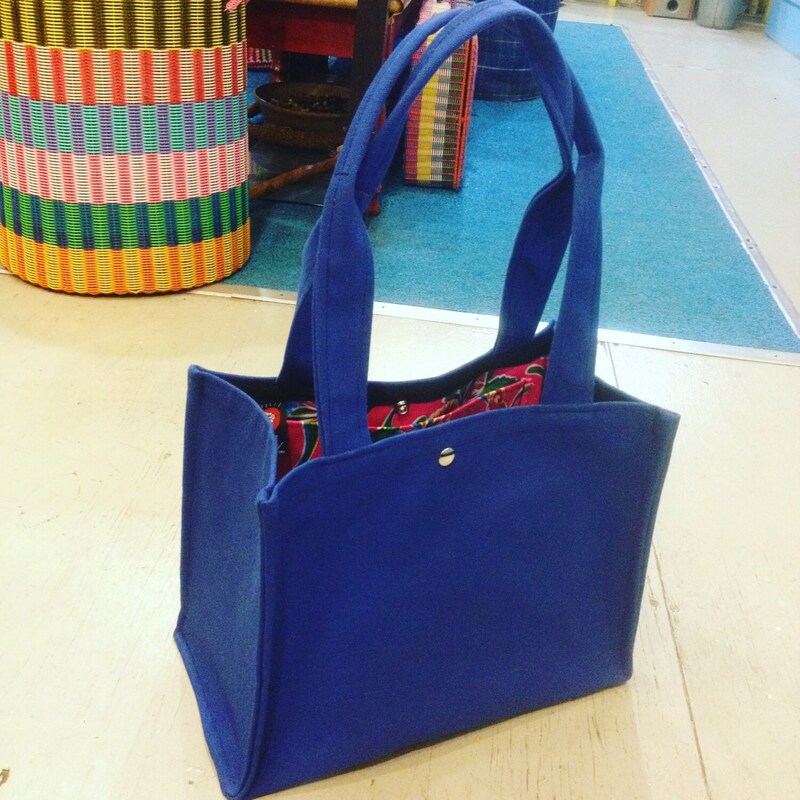 Our canvas topstitch tote is one of our most popular designs. A simple design that has structure and great shape with a pop of color inside. 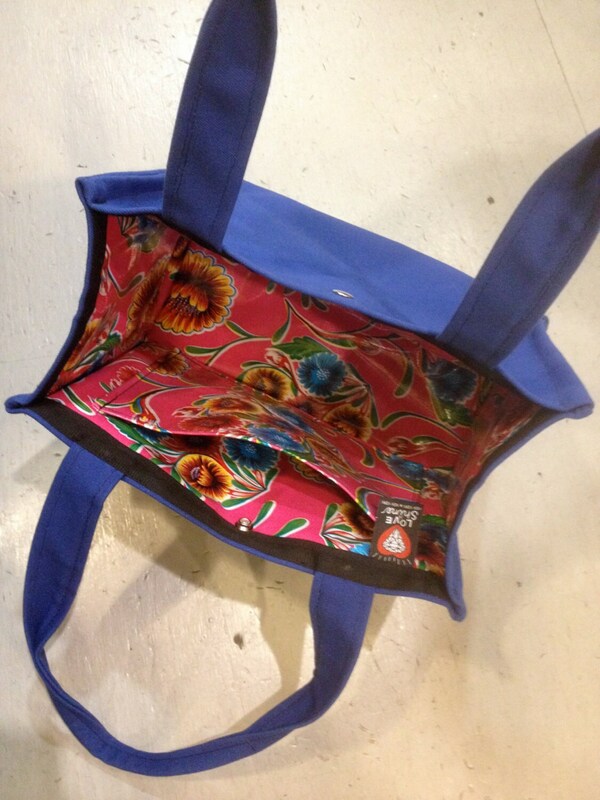 The basic canvas exterior and the floral oil cloth lining makes this a great bag for the office, grocery shopping, gym or diaper bag. 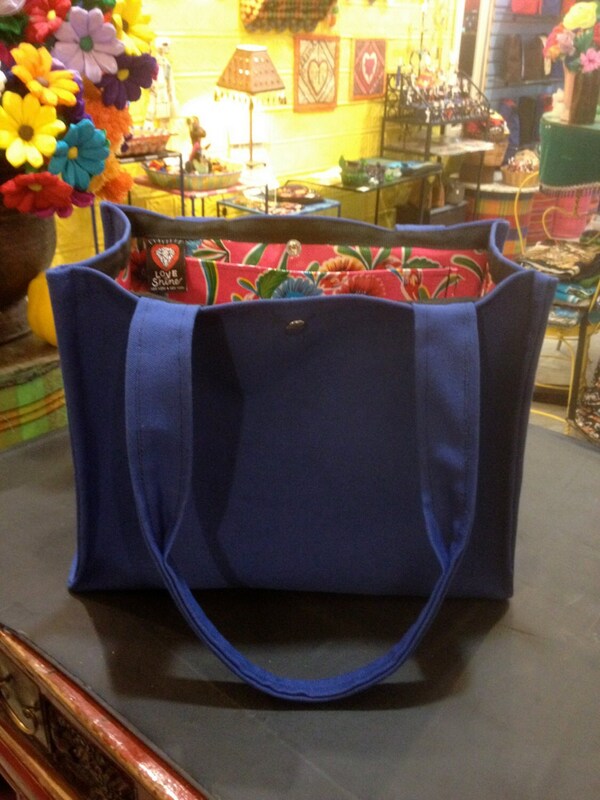 The pictured version above is a dodger blue canvas with a hot pink mexican floral oil cloth interior, featuring one large pocket, comfortable canvas straps and a snap closure. 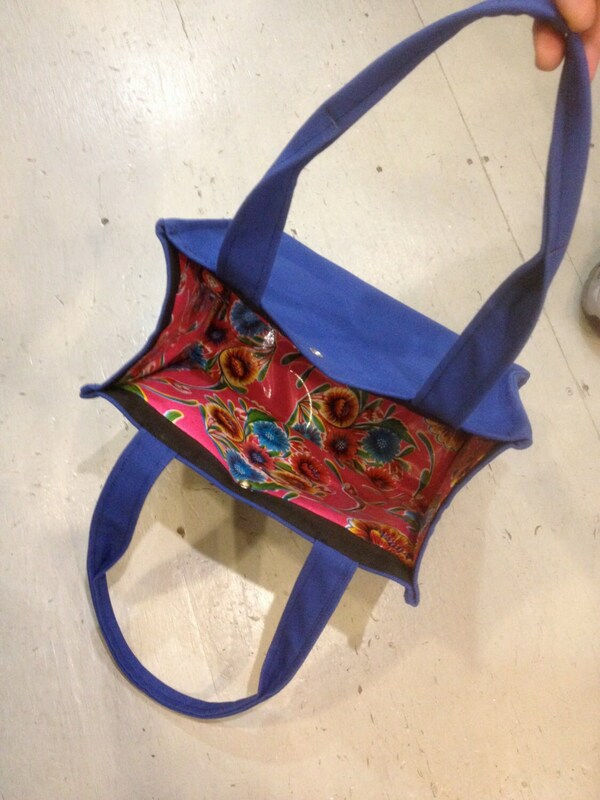 This bag is available in either blue, red, black, orange canvas. Feel free to convo with us if you would like to see what other oil cloth patterns are in current stock.